The enhancement and transfer of technology have been one of INESC TEC’s intervention priorities over the last few years. The establishment of the INESC TEC’s Technology Licensing Office (SAL) in 2014 was crucial to the real progress in the protection of the intellectual property created in the institute. In less than five years, INESC TEC has moved from the ambitious goal of improving the portfolio of licensed technologies resulting from research and promoting a culture of intellectual property enhancement in the institution to the top 5 of EPO’s Portuguese patent applications in 2017. With regard to the news about INESC TEC being in the second place ex-aequo with the University of Porto and Biosurfit, the BIP team try to get more information about the six technologies that filed European patent applications. The AC-DC Cube is a converter that promises to revolutionise applications such as: the conversion electrical energy in Direct Current (DC) to Alternate Current (AC), the connection of micro-generation systems (including home batteries) to the public grid; and the conversion of electricity in electrical vehicle battery chargers. Luís Miguel Miranda of INESC TEC’s Centre for Power and Energy Systems (CPES) was the inventor. This power converter can be applied to the renewable energy field as current inverter for PV panels or to other DC sources or as the interface between low voltage DC and AC grids; or as the electric mobility in the integration of vehicle-to-grid in the EV battery chargers with reverse energy flow or in the stationary energy charging systems. Also in the industrial field this converter can be innovative in the AC/DC conversion in conventional battery chargers and power supplies with galvanic insulation, in battery chargers to industrial equipment, in high voltage DC sources to industrial processes or in the DC supply to electronic equipment. The iHandU is a wearable device for wrist rigidity evaluation in Parkinson disease patients. iHandU is a wireless glove that evaluates wrist rigidity, ready to be used in the surgical room. This medical technology was developed to aid neurosurgeons to find the best spot to implant electros during Deep Brain Stimulation (DBS) surgery, which is performed in Parkinson Disease (PD) patients when drugs lose their efficacy or symptoms become more severe. João Paulo Cunha, coordinator of INESC TEC’S Centre for Biomedical Engineering Research (C-BER), was the inventor. iHandU applications are also extended to the clinical assessment of movement disorders including neurological (i.e., Parkinson’s disease and epilepsy) and musculoskeletal diseases (e.g., rheumatoid arthritis); or to the support movement rehabilitation, namely on an outpatient basis. This technology can also be applied to gesture control devices, to sports biomechanics or to the occupational safety and health. The CoSi is a software for the perceptual colour similarity evaluation. Considering that the differences between colours have great importance in several applications, for example in the evaluation of the corrosion of materials or in the quality control of ceramic biomaterials, CoSi technology was created. This technology is able to compare quickly how similar two colours are, according to the international standard CIEDE2000. The CoSi technology is so efficient that, unlike the competition, it allows the calculation of the CIEDE2000 heavy metric in portable devices, which typically have limited processing capacity. The fact that CoSi is related to computer vision, ensures that this technology is closer to applications in specific industries such as materials, entertainment, e-commerce, health or agri-food. Américo Pereira, Luís Corte-Real and Pedro Carvalho from INESC TEC's Centre for Telecommunications and Multimedia were the inventors. The researchers told us how it all started. While exploring different techniques for analyzing the similarity between colours to use in image and video segmentation, "we consider that the results achieved using the CIEDE2000 standard were very promising." At the time, the researchers decided not to use this technique due to the high processing time, because it was impossible to use in general use devices. The researchers didn’t forget this obstacle and they questioned about if it were possible to obtain the same results, but in a much more efficient way. 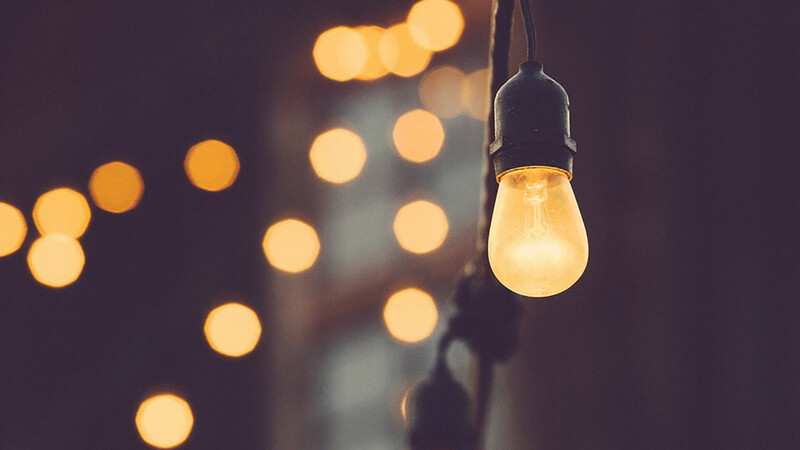 "We set to work, we launch new ideas and a few months and many trials after, the technology that gave rise to the patent application was ready," said the researchers. The CRD Sensing is a fibre linear cavity ring down for remote sensing, which measures on long distances the chemical, physical or biological signals in remote and hazard environments. Since CRD Sensing enables a more efficient, compact and easy handling sensing system, it expands the commercial equipment applications such as the optical time-domain reflectometer (OTDR), typically used exclusively in the telecommunications sector. CRD Sensing applications especially in combination with OTDRs ranging from environmental control to climate change monitoring and even to underwater applications or remote monitoring in radioactive environments. Orlando Frazão and Susana Silva from INESC TEC’s Centre for Applied Photonics (CAP) told us how everything began. 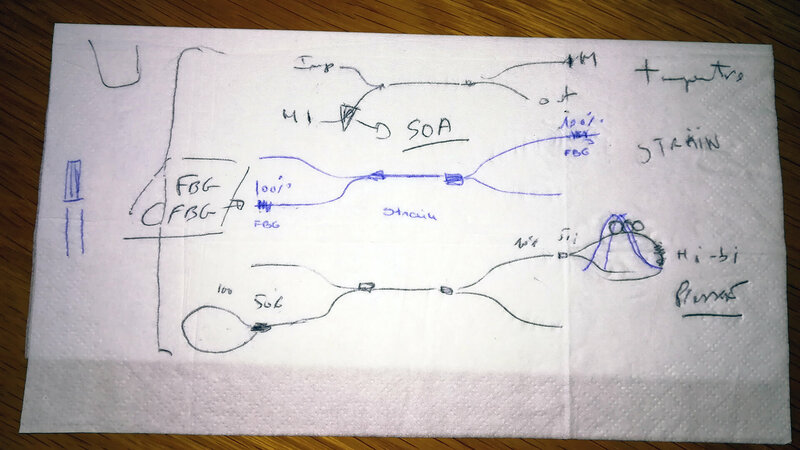 The idea for a new CRD configuration was born "from a talk at the end of the day on a coffee table whose prototype scheme was drawn on a paper napkin,” confessed the researchers. This configuration emerges after three years of the postdoctoral, where "several configurations were explored and all of them had limitations for the remote sensing". When we decompose the entire conventional CRD configuration, and eliminate the excess devices, there were only the components that create a simple and functional design left”, explain the researchers. The IA-TPC system is a transmission power control system for IEEE 802.11 based wireless network which has a directional antenna. The system is capable of dynamically selecting optimal transmission power for the nodes in wireless network considering its surrounding interference and improves throughput up to 80% in wireless networks using directional antennas when applied as a network planning software. IA-TPC was developed to be used as a centralized approach that does not require hardware changes. Therefore, the system is suitable to be used in the software defined networking (SDN paradigm) if it is placed in the cloud server which receives/sends control messages. The IA-TPC also works as a network planning software where the method suggests the optimal power either for a network or node or interface should use in order for the network to perform optimally. Manuel Ricardo, which is the CTM’s coordinator, was the inventor of this software. The BeatStress is an innovative system that includes a device and method that can drastically reduce the stress detection time, by using the identified heartbeat in ECGs as an indicator. By measuring the variation of morphological parameters collected and identified in only one or a few heartbeats, this system is able to quickly indicate if a person shows signs of stress, which can lead to poor decisions and long-term health problems. João Paulo Cunha, coordinator of C-BER, was the inventor. The BeatStress is portable and 20 times faster to detect stress than the available methods. With these features, the BeatStress is ideal for monitoring dangerous jobs (e.g. firefighters) or whose decision-making must be finalised in a very short time (e.g. air traffic controllers). This technology demands a reduced computational power, allowing its use in the context of Internet of- things (IoT), in line with the trend of wearable technologies. The researchers mentioned in this news piece are associated with INESC TEC, UP-FEUP and UP-FCUP.